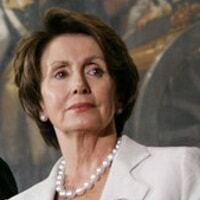 Rep. Nancy Pelosi mistakenly claimed that President Clinton launched an airstrike in 1999 after the House rejected the use of military force in a tie vote. Actually, U.S. and NATO forces had attacked Serbia five weeks before the House vote. 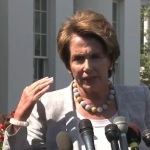 Nancy Pelosi was playing a semantic word game when she claimed there “was not a delay of the mandate for the businesses” in the new health care law. That was in fact the effect of a decision announced recently by the Treasury. 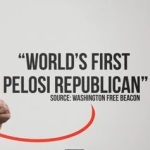 On CNN’s “State of the Union” on March 10, host Candy Crowley asked the leader of the House Democrats if President Barack Obama’s stated commitment to helping return the House to Democratic power, with Pelosi at the helm, wasn’t the same as McConnell’s comment about his goal of making Obama a one-term president. At last year's pace of job creation, it would take until February 2017 just to regain the jobs lost since the high point reached under the previous administration. And it would still take until 2015 to regain all those jobs even under the faster pace of job growth during the last 15 months. In episode 42 of our podcast, we look back at the top chain e-mails of 2010. And yes, they were false. In episode 37 of our podcast, we look at President Barack Obama’s hour-long interview on "60 Minutes," some misleading statements from congressional Republicans on the Sunday shows, and a whopper from House Speaker Nancy Pelosi.